The United States, Japan and a growing number of other European nations, are all drowning in debt. For an ordinary investor, managing their investments and investing options in these uncertain times is one thing, however managing emotions during the biggest financial panic in a generation; is quite another. Investors must first realize, that when it comes to exchange rate investment strategies, one size does not fit all. It never has and it never will. From about 1870 to 1914, the gold standard or gold exchange standard of fixed exchange rates prevailed. Before 1870, many countries followed bimetallism. Then came the period between the two world wars, when the Bretton Woods system emerged as the new fixed exchange rate regime. In the aftermath of World War II, this system was formed with the intent to rebuild war-ravaged nations, through a series of currency stabilization programs; and infrastructure loans. 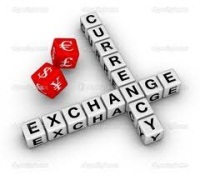 In the present, the state of foreign exchange markets does not allow for the rigid system of fixed exchange rates. At the same time, freely floating exchange rates expose a country to volatility in exchange rates. There have been hybrid exchange rate systems which have evolved, to combine the characteristic features of fixed and flexible exchange rate systems, however individual currencies are still subject to outside influence; and uncertainty. As such, many investors are seeking investment opportunities that have demonstrated a global importance, and are expected to play a prominent role in the development of recovering economies.